Hello my beauties! I hope you’re having a good weekend so far! Just got a couple of trailers, blog news and a live webchat to share with you today! I saw this on twitter this week and it looks so spooky and brilliant. It comes out in November from Fledgling Press and sounds great, check out the summary below. Young Tom Afflick has never felt so alone. His parents have split up and his mother has relocated him, hundreds of miles away from his home in Manchester, to the unfamiliar city of Edinburgh. At his new school, Tom is simply known as ‘The Manc’ — a blow-in, an outsider. On a routine school trip to the historic site of Mary King’s Close, Tom follows the ghostly figure of a young girl — only to find himself transported back in time to 1645, the year of the Edinburgh plague. I shared my thoughts on this book last week but if you missed my review of this awesome book check it out here. MacMillan have just released this trailer and its brilliant, fits the mood of the book so well. The awesome Templar have arranged a live webchat with Sweet Venom author Tera Lynn Childs on Monday night. You will need to follow this link to join and then use the password above. I am hoping to make it but I’m not certain yet but I know Tera is really looking foward to it! I am taking part in the awesome blog tour for Breathe which starts on Monday 8th October at Stepping out of the Page. My post looks awesome and will include a giveaway so be sure to check it out when Sarah stops here on Tuesday 9th October! You can find out more about the book and the tour by visiting the bloomsbury page here. 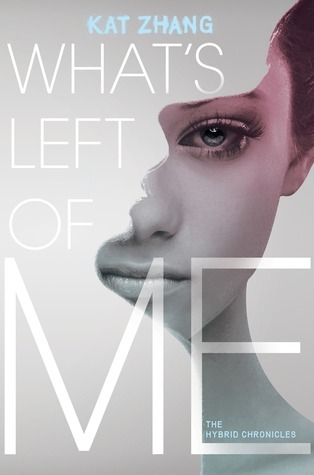 Loved the trailer for What’s Left of Me – can’t wait to read this!